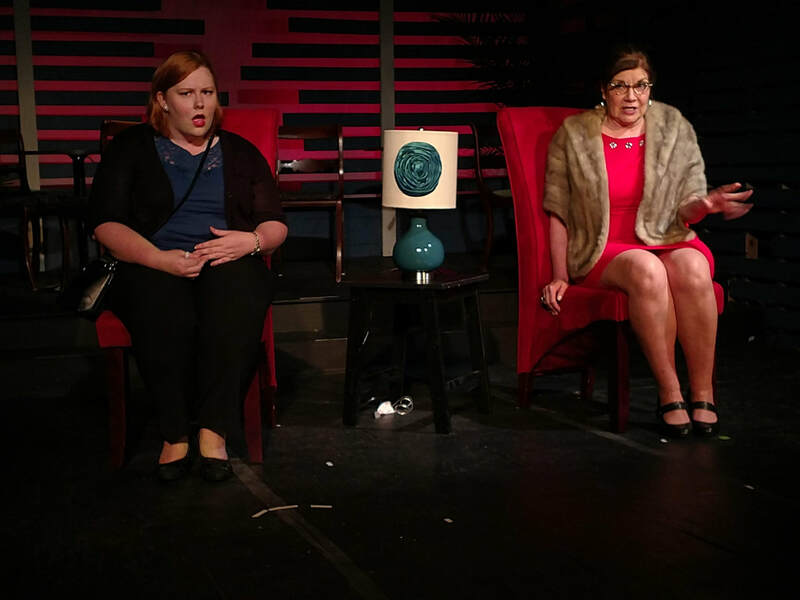 ​ With their second production, Free Spirit Theatre takes on a modern standard of the LGBTQ theatrical cannon: Dianna Son's, Stop Kiss. 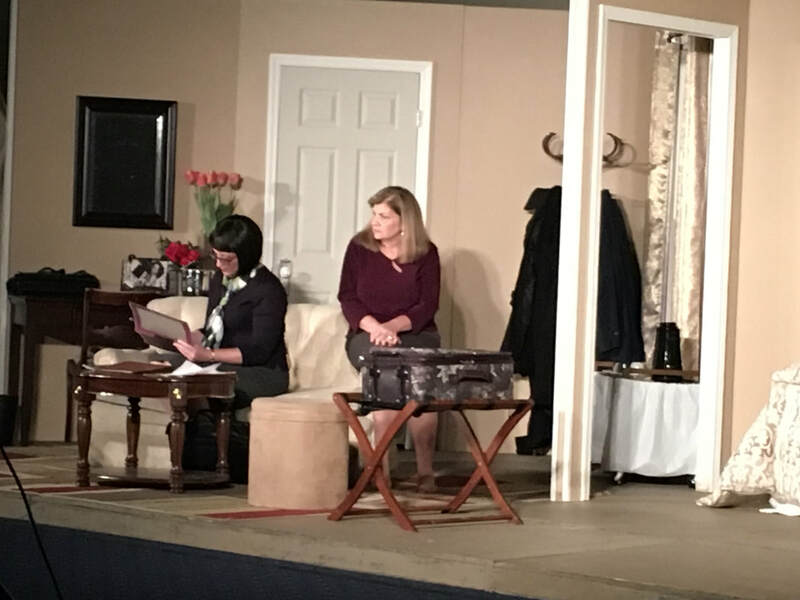 The performances here are earnest, the story compassionate, and the production well staged, though the play itself, (now in its 20th year) has begun to show signs of aging. 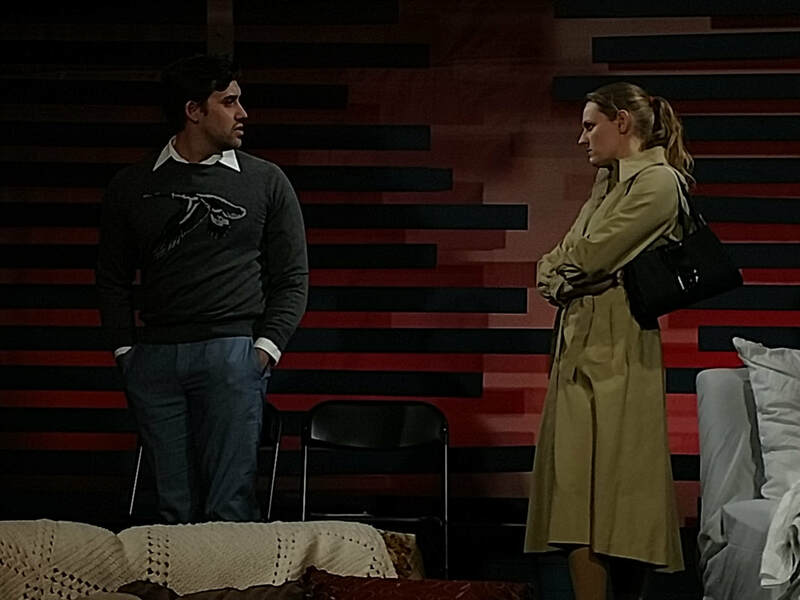 If theatre is partly a mirror for society, then this heart-wrenching story centered around the budding relationship between two women and the subsequent violence committed against them, at times asks us to linger on reflections that, hopefully as a culture, we may have begun to outgrow. 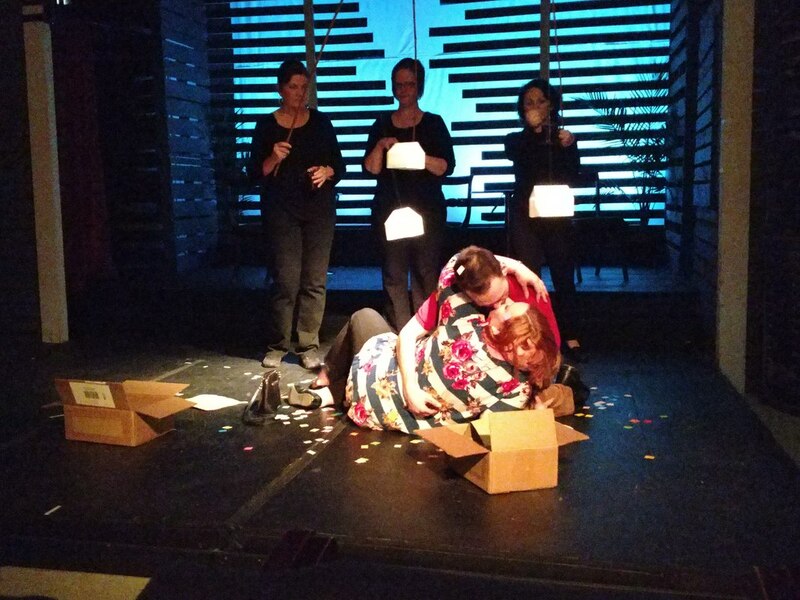 Free Spirit's Artistic Director Jill Bergeron helms the production with clarity and empathy, navigating the play's dueling narratives of time and place with the poise of a seasoned dramatist. Her staging makes solid use of the space at Modern Studio, and her incorporation of a large projection screen to establish setting is an effective, though occasionally redundant device. She keeps the action moving, with vitality and more humor than I anticipated, while reserving several moments for silence and contemplation. The performers come to the stage with a range of experience levels, and sometimes this disparity is more apparent than others, but never so much as to detract from the night's overall enjoyment, because at the height of the production's most emotional moments everyone shines with passion and honesty. 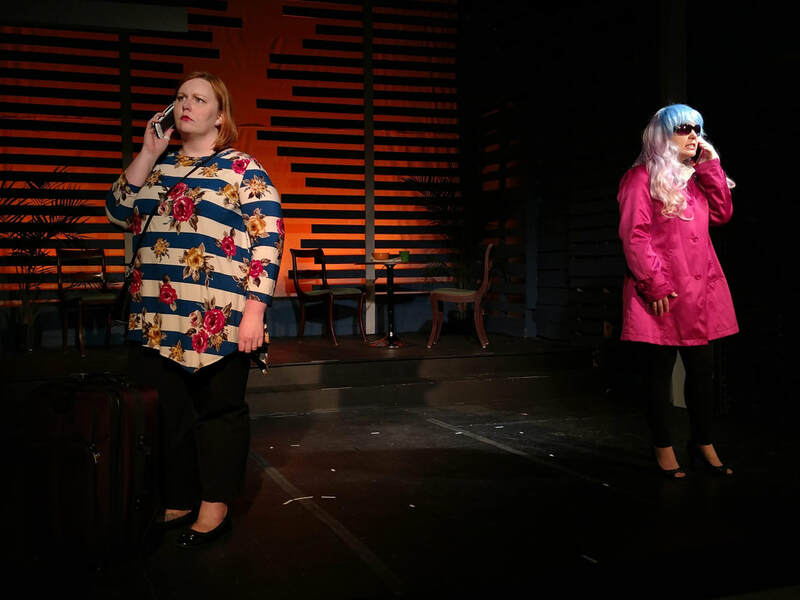 Ashely Lodge delivers a subtle, thoughtful, and at times vulnerable portrayal of Callie, the pragmatic New Yorker whose struggle with her own passive nature forms one of the central conflicts of the piece. 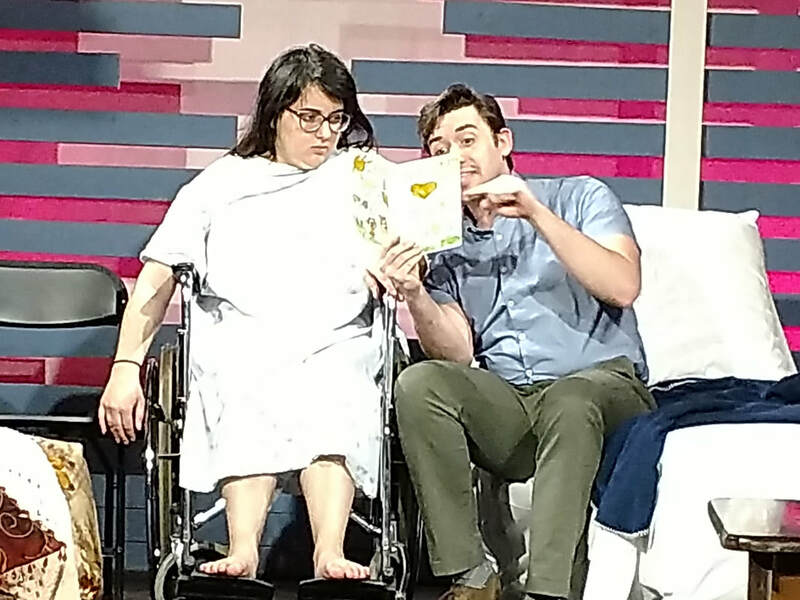 Lodge maintains an exceptionally confident emotional footing even as the script flits across scenes that take Callie from emergency wards, to giddy first dates, to police stations and back again sometimes all within a few pages of each other. 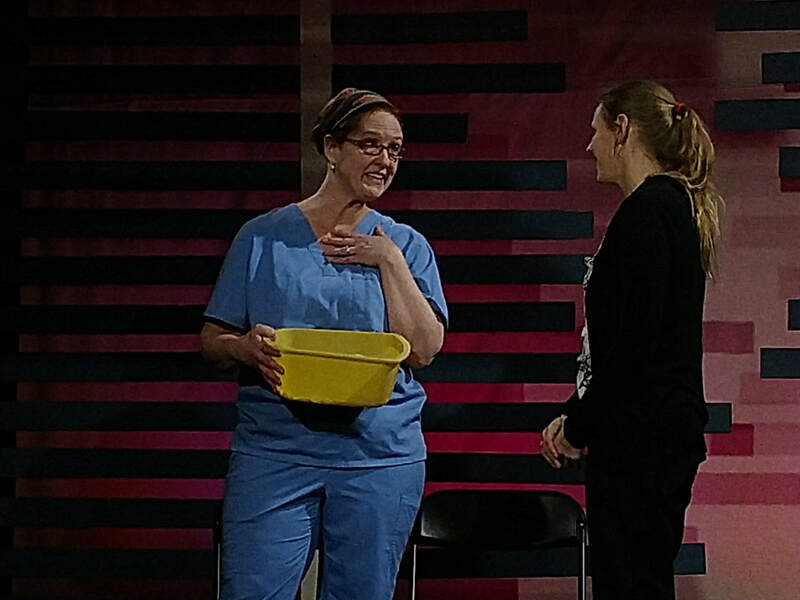 Opposite Lodge is Madison Mansouri as Sara, the fresh faced Cincinnati school teacher recently transplanted to the Big Apple, and Callie's slow-burning love interest. Mansouri is well cast and charming in her wide-eyed and uninhibited portrayal. Her Sara is assertive yet kind, generous and funny, all of which make her injuries even more difficult for us to witness. The two ladies work well together as they navigate the month's-long narrative, and the resulting portrait is one of a living relationship: full of humor, frustration, tragedy, and ultimately communion. Completing the principal cast is George, Callie's longtime friend and occasional fling played by Ivan Perez who deserves mention here for one powerful scene in particular where he erupts with an unexpected outpouring of emotional concern for Callie.Bergeron's set design succeeds in balancing the needs of the play with the realities of the space. She does admirable job incorporating five separate locations onto Modern Studio's two level thrust. Gary Bergeron's aforementioned projections were an especially nice touch, and the lighting design, while intentionally unobtrusive, still aided in subtly deepening the emotional work being done on stage. As I said at the top (and those in the LGBTQIA community may tell me I'm completely wrong about this) my chief resistance to Stop Kiss is that it seems a bit stuck in the past. While it's true that the underlying love story is universal, the specific social injustices being highlighted seemed like they would have been of greater concern a quarter century ago than they are today. That's not to say that there isn't still a need to talk about those issues, but I feel like some situations that the show depicts as being edgy and controversial have been (thankfully) moved closer to the center of the social conversation, and therefor lose some of their narrative electricity.So, then perhaps as social activism the piece has lost something with time, but that does not change the fact that Free Spirit Theatre's production definitely succeeds in building an intimate portrayal of two beautiful individuals and bringing us into a world filled with potential for heartbreak, danger, and violence as much as for empathy, courage, and joy. 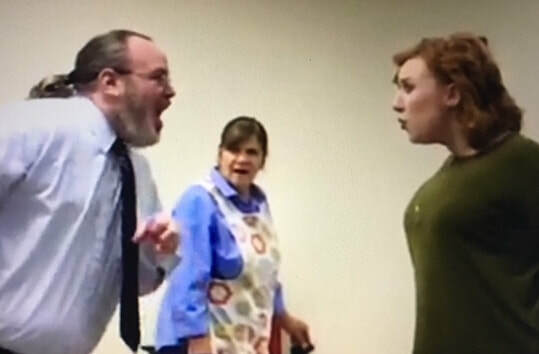 If you'd like to share your thoughts about this production please feel free to leave a comment below!-- JP Schuffman is the Managing Artistic Director of the Knoxville Theatre Club. 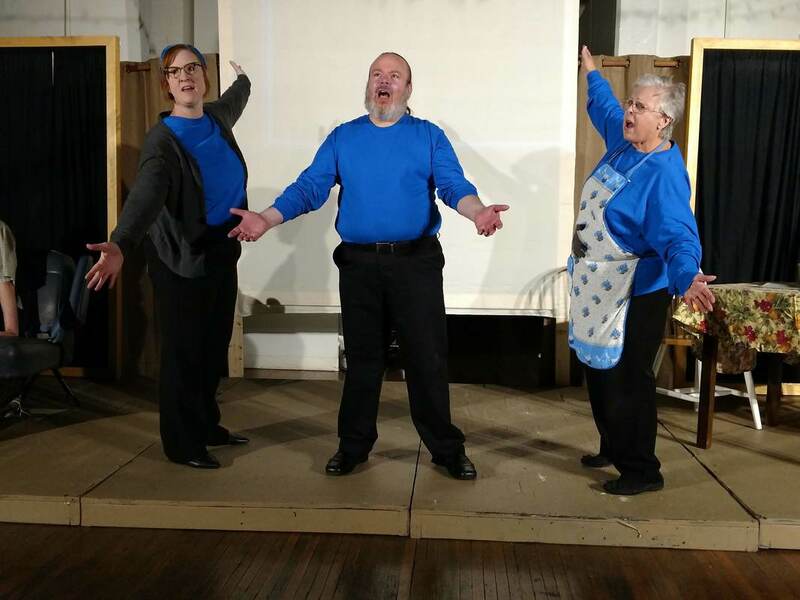 Their newest original production, The Story Story opens March 8 at Modern Studio. Learn more here. 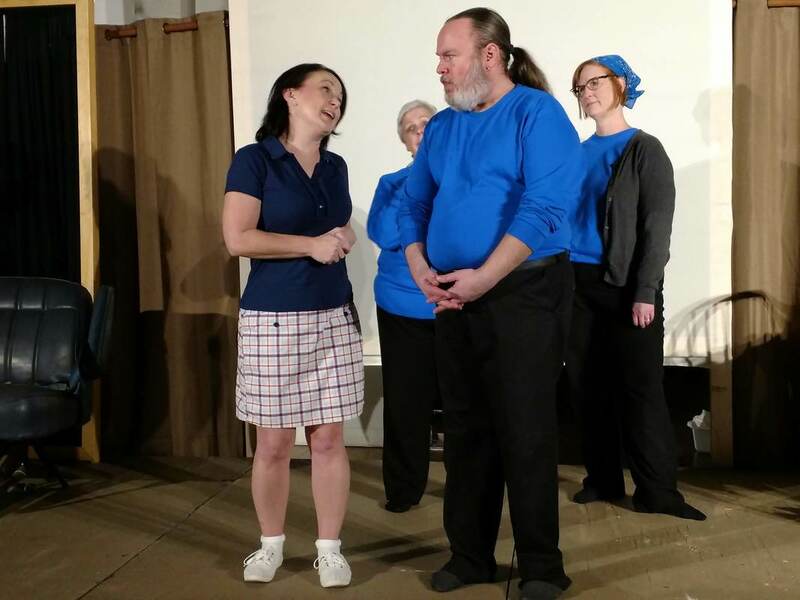 ​After taking a 10-year break from the stage, Maryville's Sam Waycaster has returned with a new theater group and a renewed passion. Waycaster will play the professor in "The Lesson," a comedic play written by French-Romania playwright Eugene Ionesco. It opens Thursday, Nov. 9, at the Modern Studio in Knoxville. 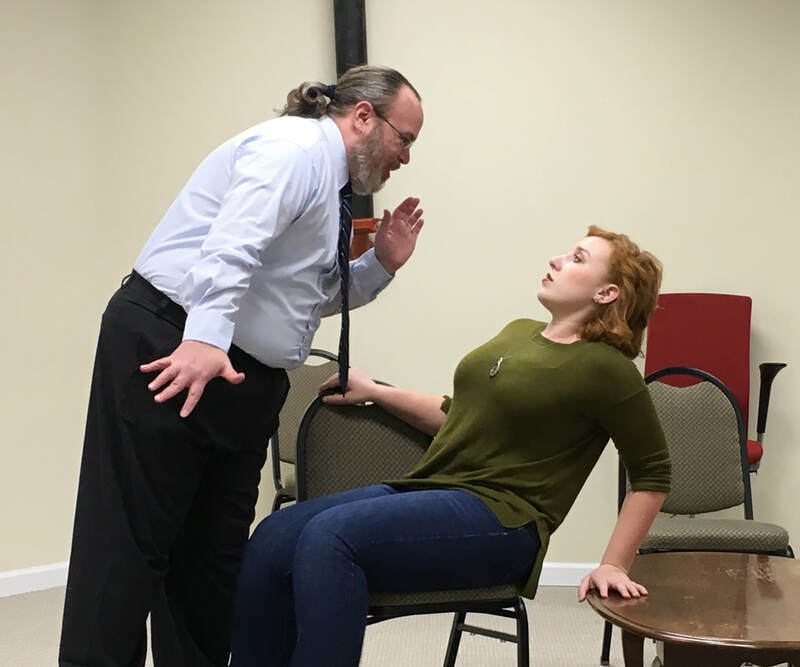 This 1989 graduate of William Blount High School has joined up with Free Spirit Theatre and its founder, Jill Stapleton Bergeron, who was theater professor and director at Maryville College years ago. Waycaster was a student of Bergeron's at MC and said he was thrilled when asked to join this new theater group. The opportunity came literally out of the blue. Waycaster said he was on vacation in Florida when a message from Bergeron showed up on Facebook. She had invited him and other former students to join her in creating this new opportunity in Knoxville. 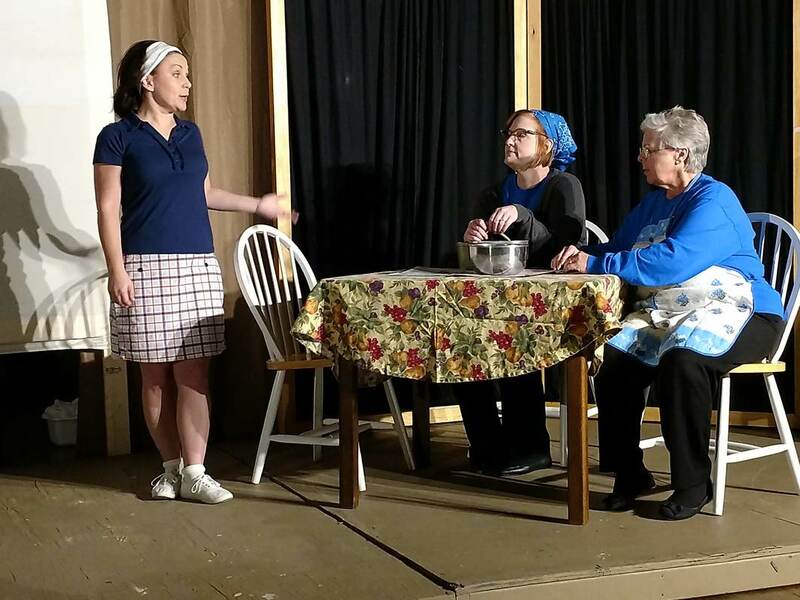 Of course Knoxville isn't lacking when it comes to acting groups, Waycaster said, and Bergeron is full aware as well. 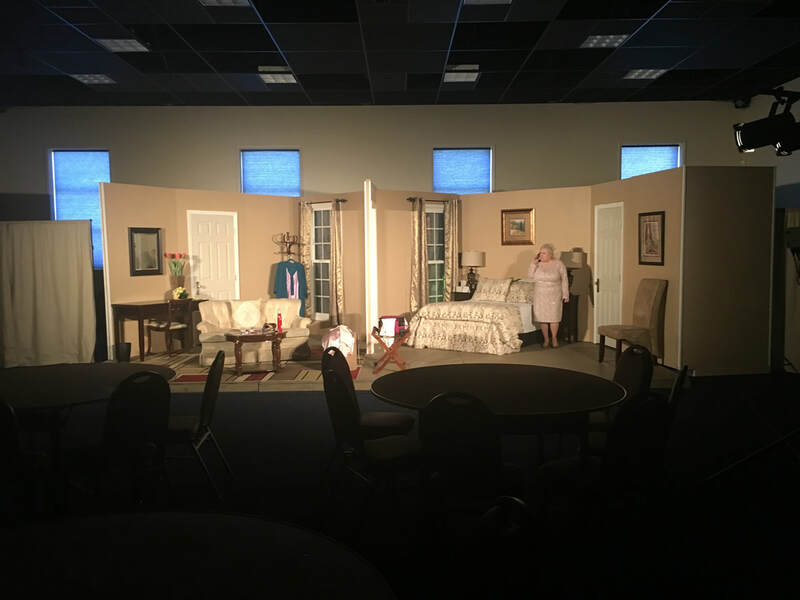 There is the Tennessee Stage Company, Clarence Brown and others, but Waycaster said Bergeron and the Free Spirit Theatre aren't interested in being one among many. "Jill said she wanted to be a little more cutting edge," Waycaster said. "She wants to get inside people's heads and make them think." "The Lesson" will hopefully do that. Waycaster said Ionesco was part of the absurdist movement when he wrote the play in the early 1950s. Waycaster's character is an over zealous professor who loves to hear himself talk. He takes on a pupil who wants help in passing a doctoral exam, despite the fact she can't do simple math like subtraction. "The way I have been describing the play to people who are not theater savvy is it's basically a one -act play that's an hour long 'Saturday Night Live' skit," he said. "It's not crazy or over-the-top slapstick silly comedy. It's just absurd." Following it throughOne of the things this actor likes about "The Lesson" is its shift of power. In the beginning, it is the eager pupil who seems to have the edge. By the end, the professor has gained his confidence. The ending, Waycaster said, is a surprise twist no one will see coming. It is great, Waycaster said, to be able to work with Bergeron again. He considers her to be his mentor and said she was the one who gave him the chance to prove himself in lead roles. He was a student at MC beginning in 1993 and came back after graduation to work in theater. He tried to start his own theater group years ago but wasn't able to secure the financial backing. 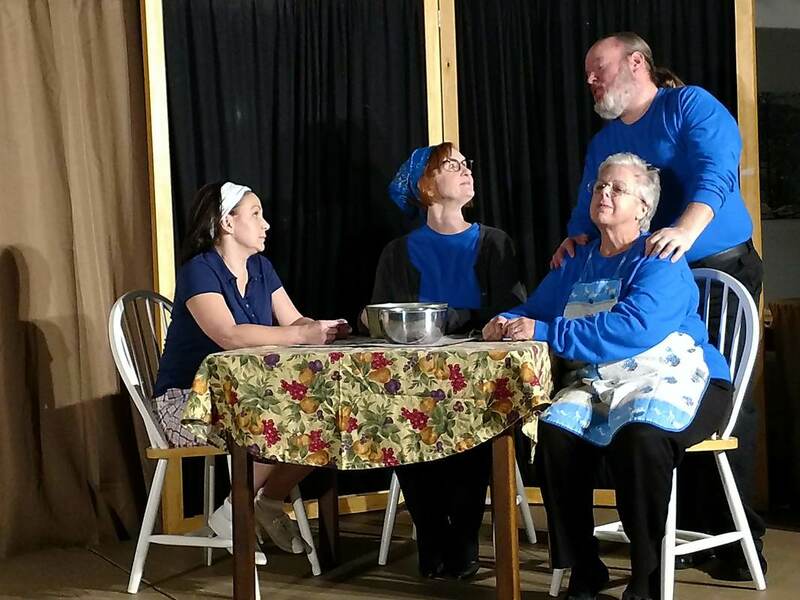 It is still tough to get established as a new theater group, Waycaster said. There are lots of talent in the East Tennessee area and plenty of performances to attend. 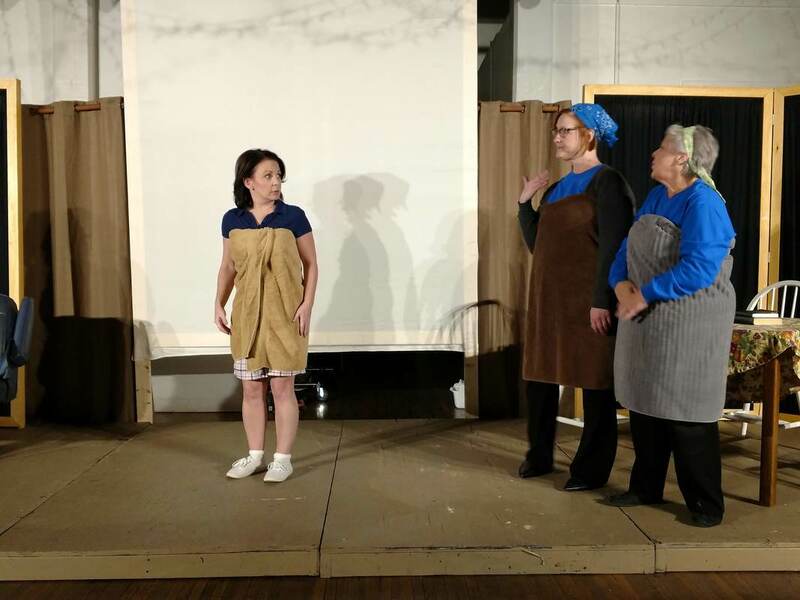 The location of this play is the Modern Studio, where other artists are also able to put their creative talents on display. Waycaster said it's affordable and accessible. There are two other actors in this first production for Free Spirit. Emma Wright plays the pupil. The maid is played by Freddi Birdwell. The last time Waycaster was on stage was in "A Funny Thing Happened on the Way to the Forum." That was years ago at MC. It was presented in the Alumni Gym because Clayton Center was still under construction. In addition to his time at MC, Waycaster also worked with the Sevier County Theater Guild until it disbanded. He was also with the Appalachian Cooperative Theatrical Society, also called ACTS. Acting didn't lead to the Broadway stage like Waycaster hoped it would, but he's got a renewed love for acting that's been propelled by those around him. The goal right now he said is to make this first one successful so more can follow. 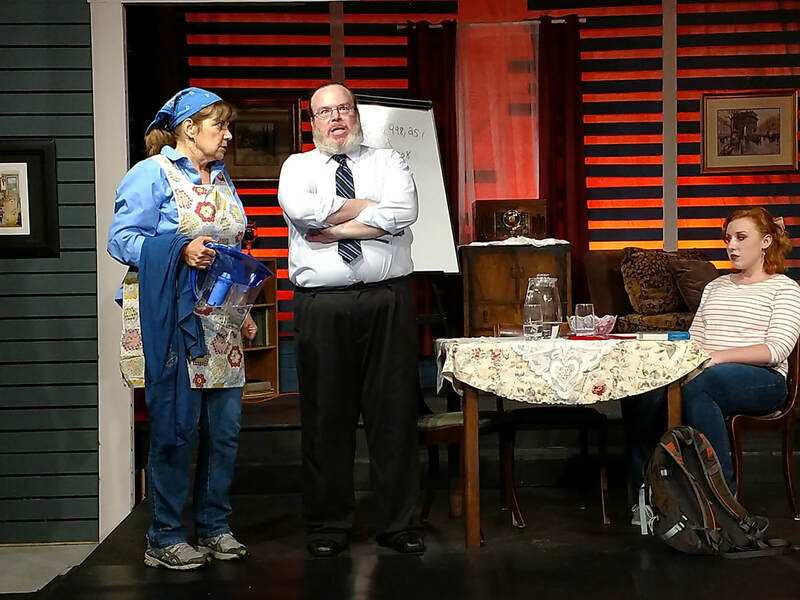 Jill Stapleton Bergeron is no stranger to the theatre scene, and boasts over three decades of experience as an actor, director, playwright, and college instructor. Most recently she founded Free Spirit Theatre, a new company whose first production is fast approaching. 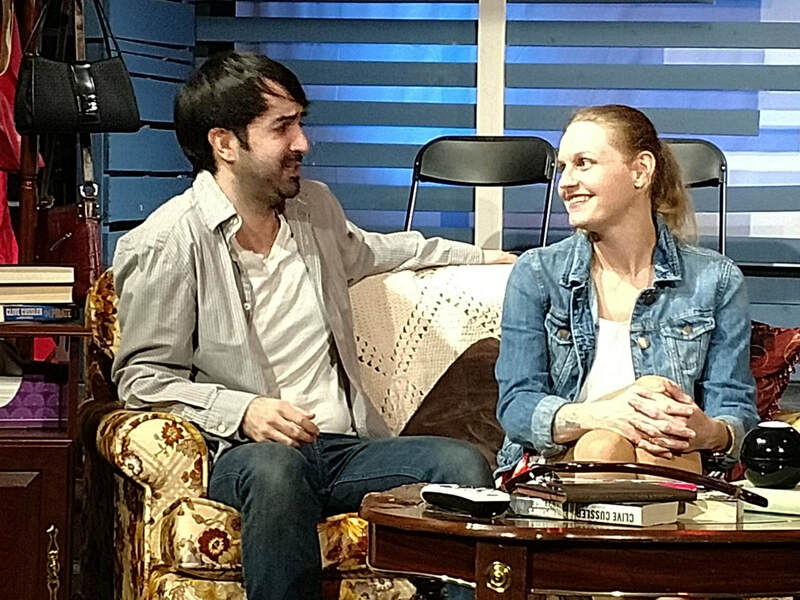 A few weeks ago we sat down with Jill and the actors preparing for The Lesson to learn more about their upcoming show, and what makes them unique for Knoxville. 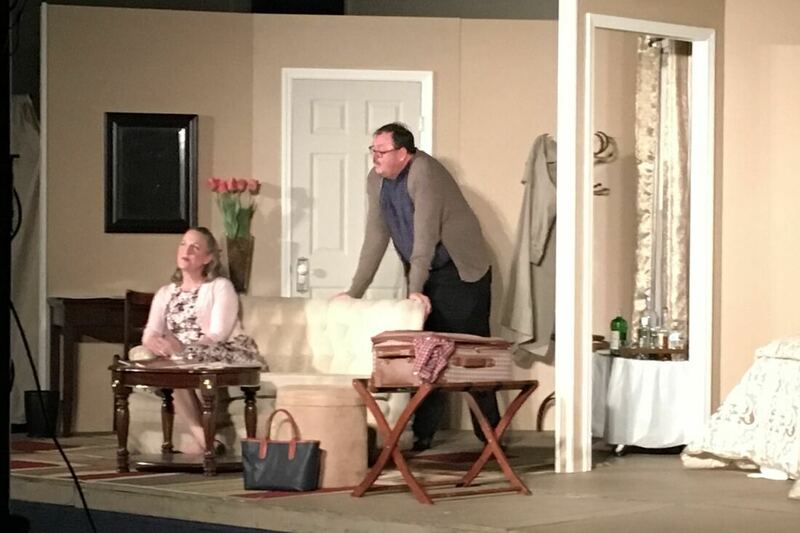 Well, my original play was Beyond Therapy by Christopher Durang, whom I love, but it requires five actors. I didn’t have that many audition. I had three people who were interested and committed, so I went in search of a play to fit them. I looked at plays that I like, and I’ve always loved Eugene Ionesco and The Lesson. Ionesco is not only recognized all over the world of theatre as a master of the absurdist movement, he was also very anti-Nazi because of his experiences during the war. His ability to combine humor with tragedy and a marvelous fascination with language amazes me. That’s sort of an atypical approach, right? Usually it starts with the play, and then you hold auditions, and you fill those roles. Most theatre companies have an idea who is available and interested in their mission, so it is always a consideration in play choice. Unless you can pay people, you can't pick a play without considering if you'll have the cast. That was the position I was in since this is our first show. 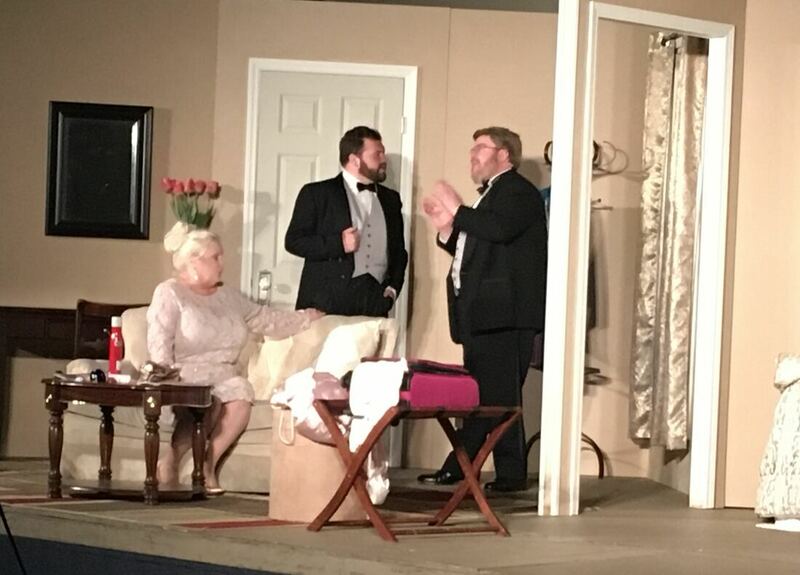 When I was the Director of Theatre at Maryville College, I knew which actors would be available, so I selected the plays with that in mind. Hopefully as we grow, and people get to know us, I’ll have a more dependable idea of who’s interested. Also, I underestimated how much goes on in October. Everybody’s doing a show right now. 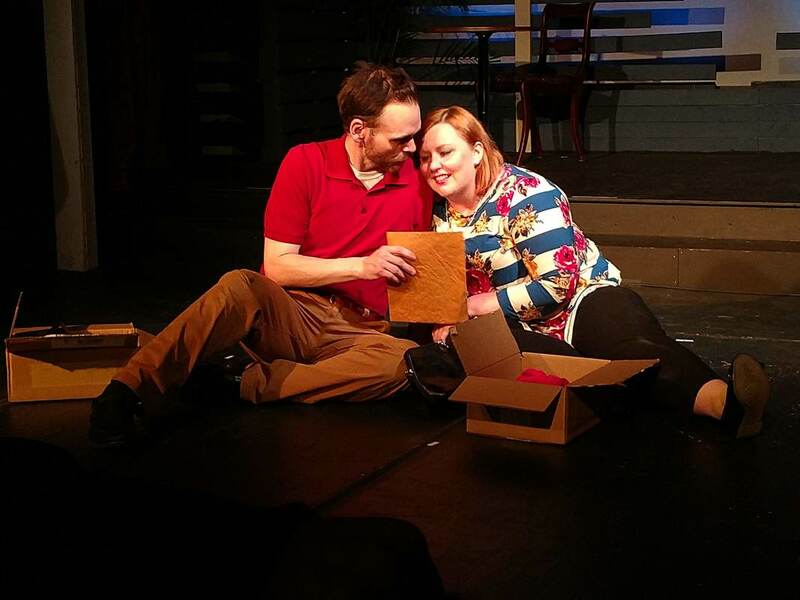 Tiger Lily just finished Fat Pig, Theatre Knoxville is doing Mousetrap, and Tennessee Stage is doing Philadelphia Story — there’s just so much going on. In the end, I have to say that I’m very happy with what I’ve got. As an actress, having something picked that suited you guys, how did that compare with what you’re used to with the normal audition process? Freddie Birdwell: Well it was a lot easier. Emma Wright: I think it’s very interesting exploring the script as a group, because we didn’t get the script before the first rehearsal. We showed up and then found out what play we were doing. So that was a really different process. So I imagine the group cohesion might be stronger since you all started at the same place together. I think it’s really good. Everyone’s really supportive of one another. For me it’s been a real joy. I hope you guys are enjoying it too. What made you start Free Spirit Theatre? Yeah, I’m getting to an age where I need to do it now while I can. This is your first production. Can you tell me a little about what you hope will be the result of this first performance? Well, first of all, I hope it introduces us to the Knoxville theatre community and theatre lovers. When I had auditions, very few people even knew who I was, so I think once they get to know us, we’ll be a much more integral part of the theatre scene. Do you have any trepidation about competing, because there are so many, in starting a new one, do you ever worry about the fact that there are so many companies? Or do you say, let’s go forward and give it a shot? At first, I was a little worried about getting a cast, because there’s so much going on. Not so much competing like I win, you lose, or anything like that, but just having enough resources. That's why Modern Studio is such a blessing to those of us who want to do theatre. I've lived in this area for 25 years, and this is the first shared performance space that is reasonably priced and accessible. 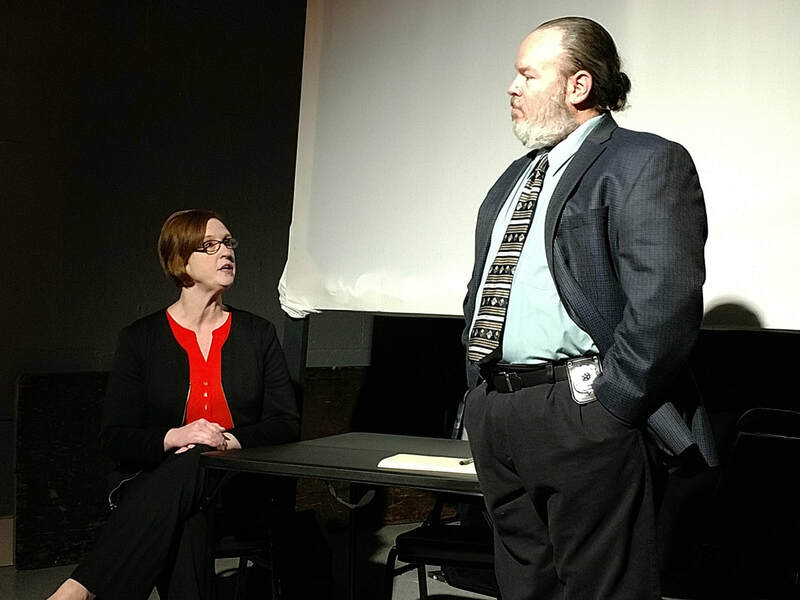 Actually, I think that because there’s so much more theatre than there was before, even five years ago, in Knoxville, is inspiring more theatre. I think all of us are developing an audience here in Knoxville that we didn’t have ten years ago. Tom Parkhill has done amazing things with Tennessee Stage and developed it into a natural part of summer in Knoxville. 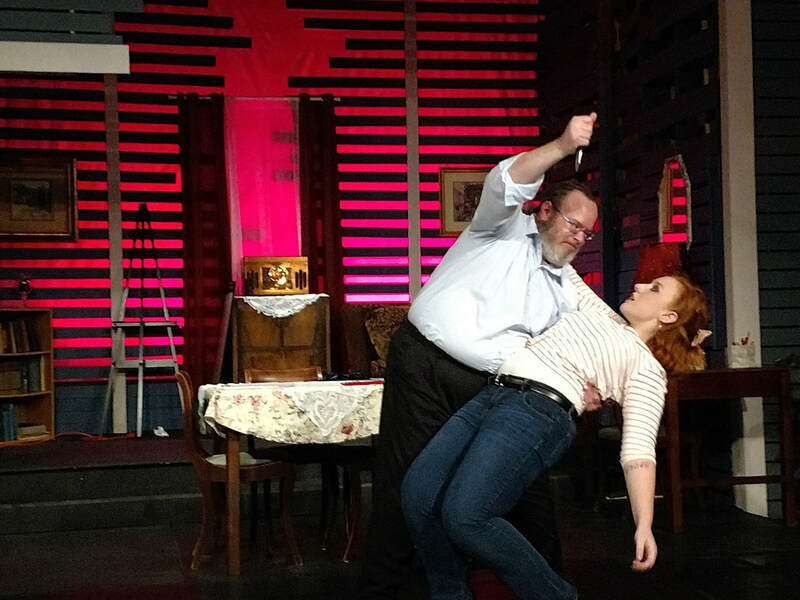 Theatre Knoxville Downtown, Carpetbag, and the Word Players are also well-established along with a few others. It's gratifying these days to go see a play with a full house. That says something about theatre in Knoxville that we couldn’t say ten years ago, so I think it’s an opportunity rather than a downside. I look forward to maybe even collaborating with other groups. Have you two always worked together when you were directing? This is an interesting pairing — stage management and director. How does that work for you two? Well normally, my husband, Gary is my Technical Director, because that’s what he does best. He’s a carpenter, engineer by trade, but if I need something, he is very supportive. I needed a Stage Manager, and he said okay. Gary: Just don’t ask me to act. Jill: No, he doesn’t want to act, so I won’t do that. Gary: I’ll walk on if I don’t have to say anything. You mentioned that you’re a writer as well. Playwright or novels? I write everything pretty much. I have a novel that’s coming out in November (called Truth or Dare using my nom de plume, Anne Denmark), and I’m just now finishing up the proofing for that. I’ve written a lot of plays, some of them have been picked up by theaters, some haven’t. Will you be producing any of your own work? Well, I want to stay with really good, tested literature. A lot of companies here use original scripts, which is wonderful because new playwrights need to get their work out there. But I think it's best not to direct my own plays. A different director can show me where the holes are, and I would love to work in development with someone. One thing about theatre is that it's the most collaborative art. Playwrights need directors and actors and vice versa. But my favorite thing is working on a really, really good play that I can sink my teeth into with a group of actors. We did script work for two weeks before we got on our feet with this one. What do you do during that process? Walk me through what you guys did? We did read-throughs first, just to get familiar with the script. We talked about the characters, there are a lot of terms in this play that I had to research to find out what they meant so we talked about that. We talked about Ionesco and the kind of writing he does, and what motivated him to write. He’s a French playwright from the Absurdist movement in the 1950s and early 60s. He endured WWII in Romania and he was very anti-Nazi, anti-Fascism, anti-indoctrination, which I think fits in with our current American situation just fine right now. The play was written in 1950, but it's just a timely as if he wrote it yesterday. You mentioned that you like doing plays that are “well tested” — from a directing and acting standpoint, what does it mean for a play to be “well tested” in your opinion? A play that survives its own period for one thing. You know, there are thousands of plays from any period in history. Time passage is kind of sieve that keeps moving. A few works will fall through and last, and the rest will get tossed out because they weren’t that great or they were too topical, too dated. There were a lot of people writing plays during Shakespeare's time, but how many can you name? 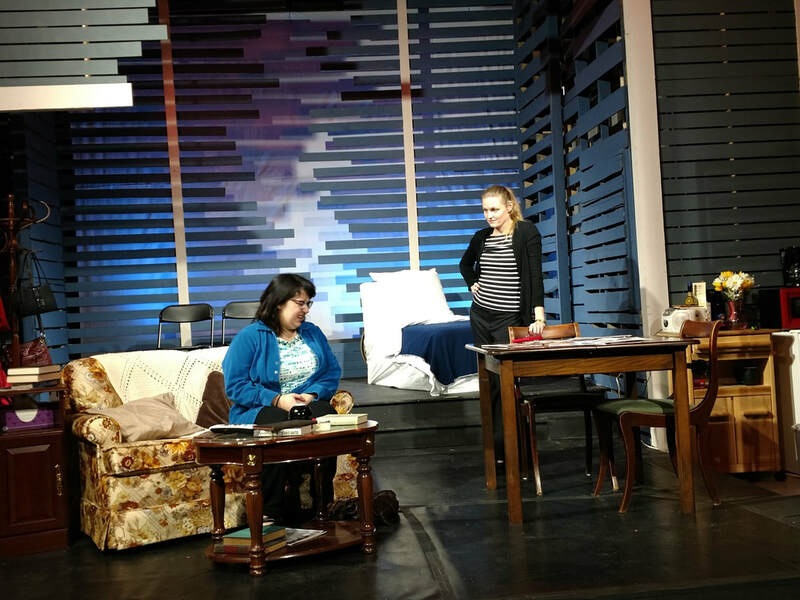 This particular play is about a professor and student — give me the premise of the play. This student has come for private lessons with this professor, who has a big reputation in town because he used to teach at the university. She comes because in two weeks she wants to take her doctor’s orals, and all she has is a high school diploma. And of course, the absurdity part is that she’s here to prepare for her "super total doctorate" and they’re doing math that is 1 + 1 is 2. But she can’t do subtraction, which upsets him quite a bit. So they move on to comparative linguistics where he kind of loses himself and which she can’t do either. I won’t reveal the ending, but it’s very surprising. I love this play! Are you already thinking about your next production, or are you waiting to get through this one first? Yeah, I’m already starting to think about other plays. I really like Strindberg's Miss Julie; I’m looking at a couple of other plays, one called Love, Loss, and What I Wore, it’s funny but poignant. I'm really drawn to Sara Ruhl's plays. There are so many I want to do! If you had an unlimited budget (laughter), and unlimited resources, and you could do any project you wanted, what would you do? I would actually do something similar to what I’m doing, probably a longer play with a little bigger cast, but not by much. I like this intimate work with the actors. If I had lots of money, I'd buy my own space! So you taught at Maryville College? I was the Director of Theatre at Maryville College. We did one main stage show each semester. I was one of the founding members of the now extinct Knoxville Area Theatre Coalition. I loved getting to know other theatre artists in town—maybe we should revive it! Comparing this to your time at Maryville College, in what ways have you had to be resourceful? Finding rehearsal space is a big deal. Right now I’m footing the bill for everything, because it’s my dream so I need to pay for it. I’m hoping we at least make enough money to pay me back and get ready for the next one, that’s all I care about. If we get 100 people, we could cover the costs and have enough to rent the space again for January. It’s really just the financial stuff. I enjoy doing the program, set & costume design along with directing, but it would be nice to have more help. So how else can people help you? Right now, donations would be amazing! But just supporting us and coming to see what we do is great. I hope we can get more people involved on and off stage. This production is a long one-act, about an hour and a half. 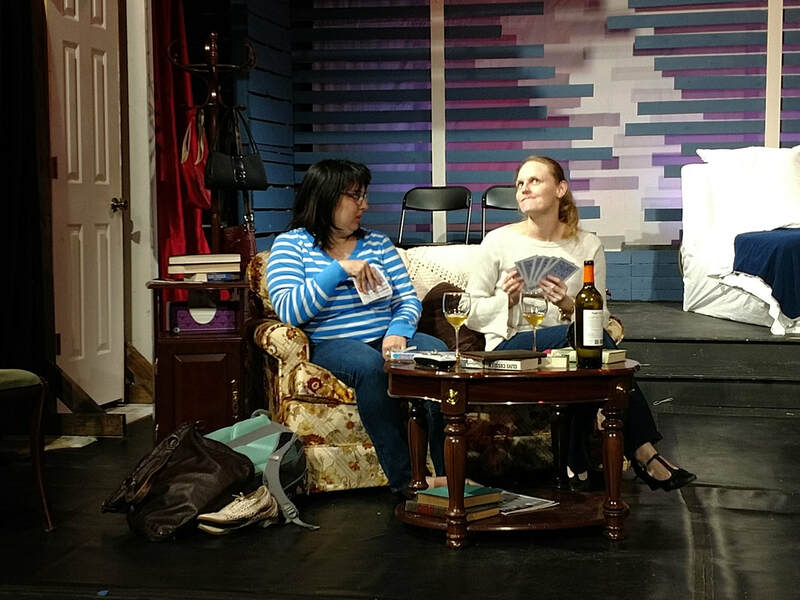 After Thursday's performance, we’ll have a talk-back so the audience can ask questions, because it’s a play that you’re not going to see very often in this area. On Friday and Saturday evenings we will have an open coffeehouse with a dance floor for people to hang out after the show—drink coffee and eat desserts. Why wouldn’t it be seen in Knoxville? Is it too topical, or not the personality of the local audience? I think a lot of people just don’t know who Ionesco is, I mean, I know who he is because I had to read a lot of play in grad school. But a lot of people aren’t exposed to that, and if you don’t know it, how can you do it? That's one of my goals—to introduce our community to a wide variety of good theatre without worrying about being overly commercial. Contemporary material is a little easier in terms of design, but I love good plays regardless of when they were written. I really liked what Amy Hubbard did with Actors Co-Op; she took a lot of risks with play choices and enjoyed success. I hope we can do something similar. I like that the name of your company, indicates more of a free spirit obviously, but you’re more of a purist, which I like. Yeah, I guess I’m a theatre purist, you could say that. But, although I am sort of a theatre purist I do not consider myself a traditionalist. I examine a script in depth and look for new and creative ways to present the material without regard to how it’s been done before. Did you mean for there to be a dissonance between the company name and your style? Actually, I thought of free spirit as not being bound by having to make a lot of money or cater to popular trends. I just don't want to do anything predictable. If we do an old standard, it will have a spin on it. I want to do Pinter, Hellman, Moliere. . .
Jill: I mean I could do that, but I don’t enjoy doing it. I guess Carmen was the biggest show I've ever directed. I used to stage the operas for the LSU Opera Theatre and Carmen had like 125 people in it. To me that's just directing traffic. It was just... not for me. I much prefer this. Did you feel more restricted at Maryville? Everyone has an opinion right? Yeah, you’re free to your opinion. But no, the first year I was there we did Lend Me a Tenor, and then we did Picnic. We did Prelude to a Kiss, which features guys kissing, and that was twenty years ago too. 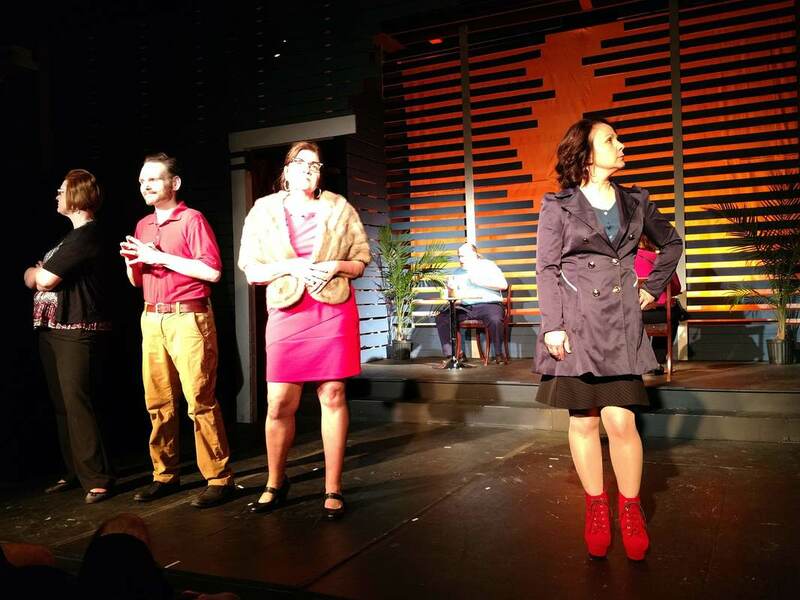 How would you like to see the theatre scene in Knoxville grow in the next five years? I’d like to see more places like Modern Studio, where we can have a place to do what we want to do. I would just like to see this growth continue, and thrive, and audiences learn to expect good theatre here with a lot of variety. The theatre community here is alive and has a lot to offer. What have each of you enjoyed most about the production? Sam Waycaster: For me, the most enjoyable thing, is working with Jill again. When we worked together last, we said it wouldn’t be the last time. I’m very glad that she contacted me and asked if I’d come along for the ride. Sam: It was around 1999, 2000. So she contacted me in June, but I was unable to reply and when I got back home, I was so excited to reply and let her know I was interested. And second, the show itself. I’d been familiar with Ionesco, but the absurdity and the humor. The professor has a lot of great lines. But, she was my mentor. She’s my favorite director. Her style, she’s very passionate. She’s very serious but also sincere, and she is very true to the playwright’s wishes and the reasons that we have theatre. She was the first director I worked with as an adult. I did a lot of community theatre as a child, but she cast me in my first role as an adult, so she’ll always have a place in my heart. She saw something in myself that I didn’t see. Jill: Yeah, I’m very thankful. Sam is so talented. 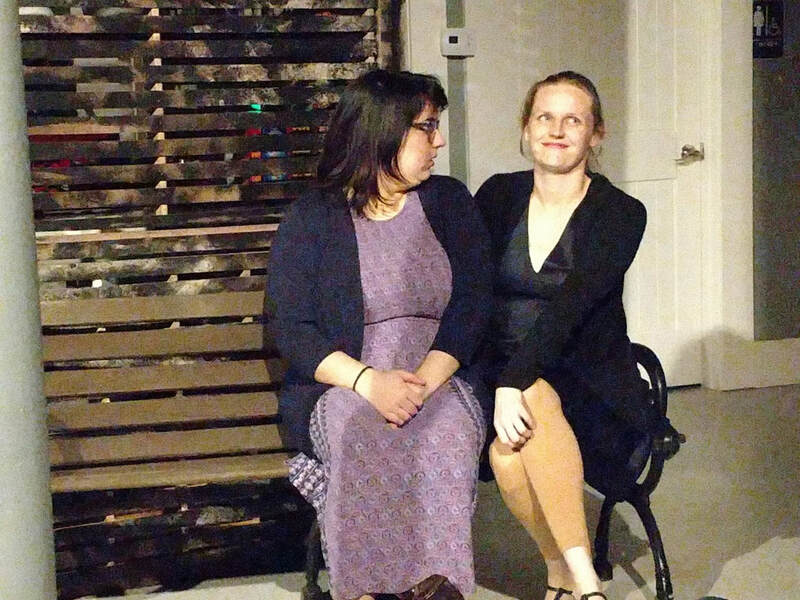 Emma Wright: I think the best part is learning how to do absurdist theatre. I graduated from UT two years ago, and I’ve taken classes in New York and London about it, but this is my first time working on it. Most of my experience has been with Shakespeare, or modern classic plays. Earlier this year I did Grease, but this is my first time doing something like this which has been really fun. And I said, “Okay!” We were at Modern Studio, and we didn’t know what we were doing yet, but we said okay. Was it at Moving Theatre or Cindy & Ella? It was at Cindy & Ella. Which was not that long ago! Wow. 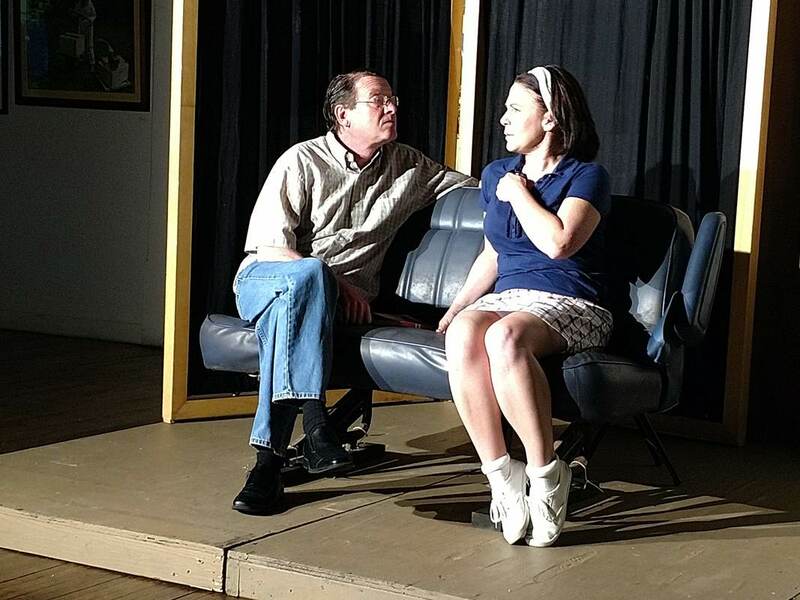 The Lesson runs Thursday, November 9 through Saturday, November 11 at 7:30 pm at Modern Studio. Tickets can be purchased at (insert link).